Decimal Lab : Text : Who Will Care for the Carers? As automation grinds its way through industry after industry, some sectors still demand a human touch. Emotional skills and social interactions are far harder to mechanize than factory lines or even surgery. 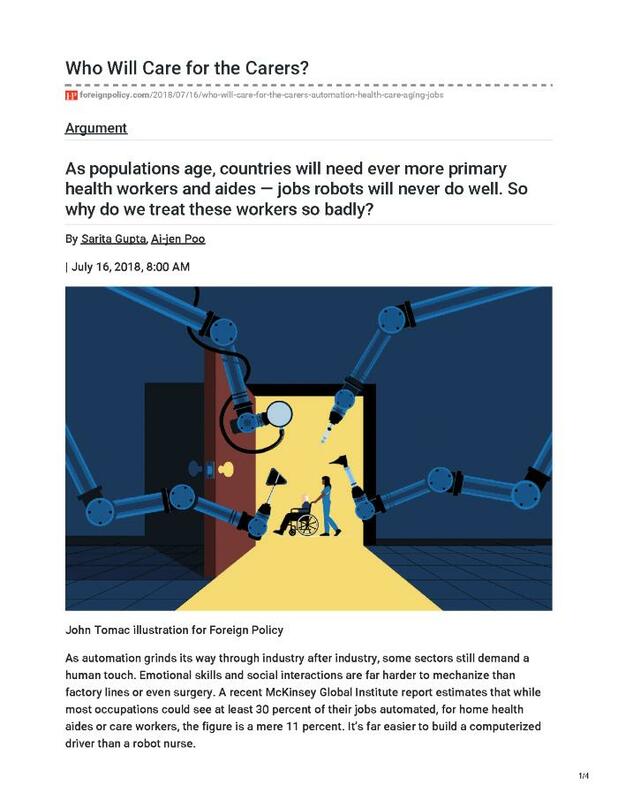 A recent McKinsey Global Institute report estimates that while most occupations could see at least 30 percent of their jobs automated, for home health aides or care workers, the figure is a mere 11 percent. It’s far easier to build a computerized driver than a robot nurse.